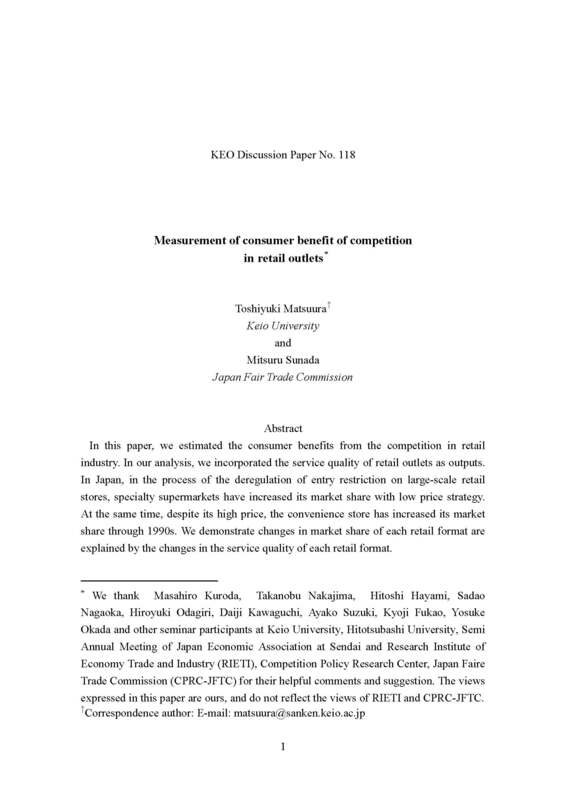 In this paper, we estimated the consumer benefits from the competition in retail industry. In our analysis, we incorporated the service quality of retail outlets as outputs. In Japan, in the process of the deregulation of entry restriction on large-scale retail stores, specialty supermarkets have increased its market share with low price strategy. At the same time, despite its high price, the convenience store has increased its market share through 1990s. We demonstrate changes in market share of each retail format are explained by the changes in the service quality of each retail format.